Financial News reported an article about E. J. Kim, CEO of Theracion Biomedical Co., Ltd.
Financial News, one of Korean daily newspapers, reported an article about E. J. Kim, CEO of Theracion Biomedical Co., Ltd, on July 2017. On the interview, he told R&D and business of Theracion Biomedical Co., Ltd and introduced AniClotTM styptics. 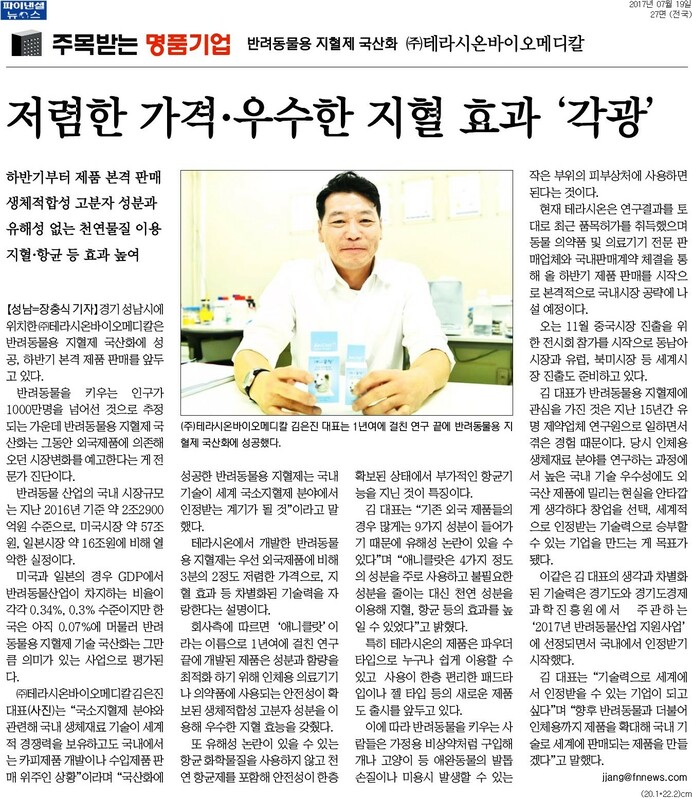 Here is the newspaper article (only Korean).